Sift the 2 & 1/4 cups all purpose flour, 3 teaspoons cornstarch, 2 teaspoons cinnamon, 1 teaspoon baking soda, 1 teaspoon baking powder, & 1 teaspoon salt into a bowl. Then fold in the 2 ½ cups Raisin Bran® & 1/2 cups raisins. Use a cookie/ice cream scoop to measure the cookie dough for uniform cookies & bake at 350° Fahrenheit for 8-10 minutes. Your Raisin Bran Cookies are done when they begin to turn golden brown. While the Raisin Bran Cookies are baking whisk together the 1 & 1/2 cups powdered sugar, 1/2 teaspoon vanilla extract, & 3 tablespoons half & half. Set to the side. 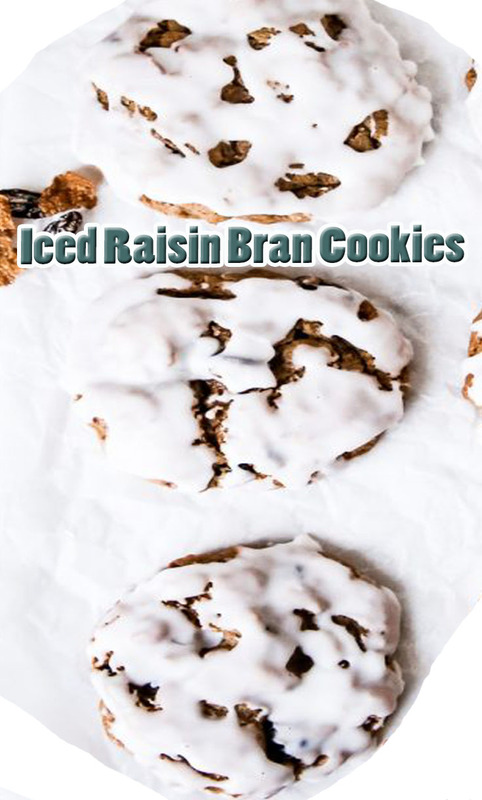 Let your Raisin Bran Cookies cool then add a little bit of icing to each cookie. Once the icing has hardened, enjoy!